No matter what is the reason for changing your dining table and chairs, what is important is to purchase the ideal option that best works for your space, matches well with the other furniture items and is practical to use. The Australian online market is overflowed with a vast range of quality made dining furniture items that feature different materials, designs, shapes, sizes, and what thrills the most is that the varieties can blow out your mind before you get your preferred item delivered to your door. In order for you to feel satisfied and to use your piece of furniture proudly, we suggest you to keep an eye on the following tips on how to find a dining table that can spice up your room. 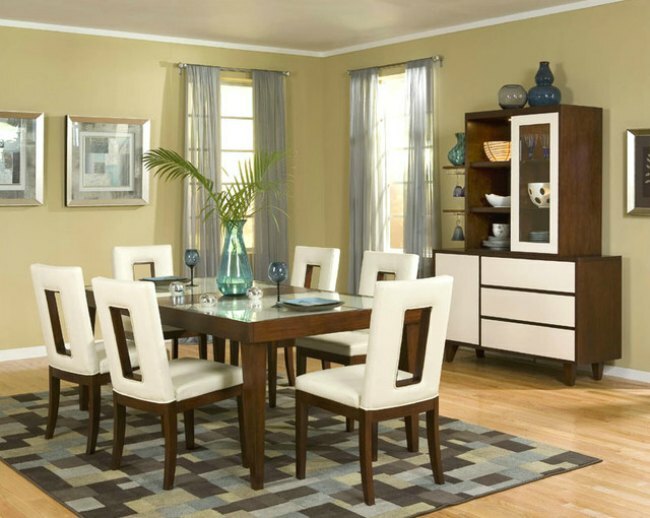 This is one of the most important characteristics when you browse for dining furniture, in this case, a dining table. There is a variety of shapes, from a classic rectangular, oval, round to square shape. If you have an elbow room then you can go with a rectangular look as an option that brings together the best of both worlds, it gives your room a clean and well-defined look along with its practical use. You can enjoy this shape when you invite family over for Thanksgiving lunch or when big celebrations are right around the corner. Oval or round shape are an ideal option if you are one proud owner of a small studio or a house that features a tiny dining area. Today’s most compact dining areas feature a stunning round or oval table with oak legs and table top that helps create a more intimate setting, is very practical to use and to operate on, especially when you host four to six people at the most. Square dining tables are options that people buy less. If you have entrusted your home interior in the hands of a qualified designer and if your house features a luxurious décor, then it is more likely for him to add a square table to complete the look of your dining space coupling it with a rug which has a great geometric design. This, however, can be a challenging part. No matter the décor of your entire house, when you purchase a dining table you can experiment with different styles and materials. Some people might find interesting to add a chic contrast by using a rustic wooden table in a completely modern space, and others do it in the opposite way, in a house with a traditional style they put dining tables that feature a modern look, glass or acrylic. After all, everything depends on individual’s taste and preferences. Once you have decided which size and style are going to be an ideal solution for your space, it is time for you to determine the size of your dining beauty. There is a vast range of tables that feature the standard size, but if your space requires larger or smaller version of the dining table then you can opt for that specific size as the online sites greatly offer all sizes. On more thing to take into account, make sure that there is, at least, a meter of space between the table and the edge of the walls or another furniture items. That way you will have enough room to move around and your guests won’t have any problems to get up and sit down.